Paramount Pictures’ last trailer for Overlord has been released and it looks intense. Set during World War II, this horror charged war film shows a much darker side to rumored Nazi experiments. The film follows a group of American soldiers who survived their aircraft being shot down behind enemy lines. In the attempt to finish their mission, the small group must figure out how to infiltrate the tower of a fortified church to take out the transmitter. Once inside, the group finds that they must fight against horrifyingly grotesque creatures that were created by Nazi scientists. Let the blood, guts, and gore ensue. 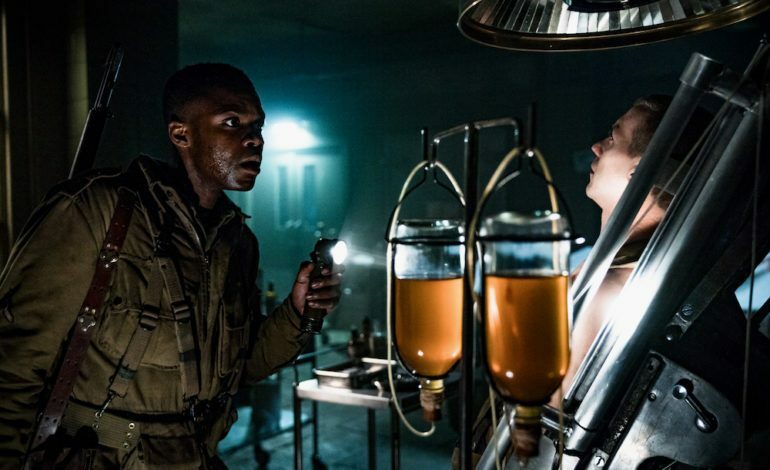 Overlord stars Bokeem Woodbine, John Magaro, Wyatt Russell, Pilou Asbæk, Dominic Applewhite, Jacob Anderson, Jovan Adepo, Iain De Caestecker and Mathilde Ollivier. Bad Robot’s J.J. Abrams is producing while Julius Avery will direct the script written by Billy Ray and Mark L. Smith. Overlord hits theaters November 9. Check out the latest trailer below.